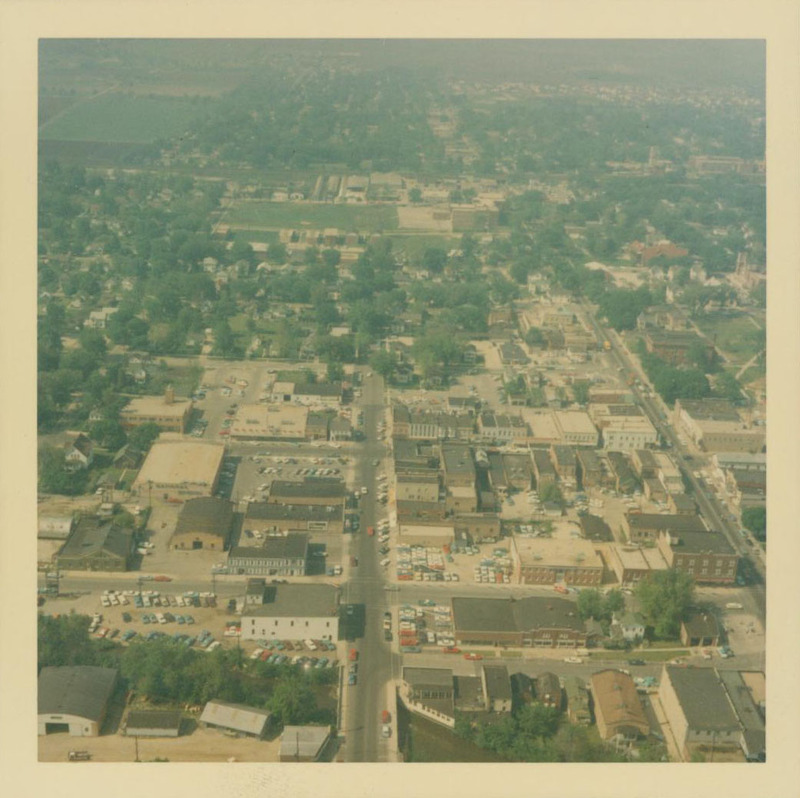 This color aerial photograph shows downtown Naperville around 1956. The view looks north with Main Street running vertically through the center and Washington Street at the far right. The DuPage River is visible just along the center bottom of the photograph.